Whenever I meet someone who hasn’t travelled I’m always slightly perplexed. I ask them (as nicely as possible) WHY?! Unless there is a valid reason (is there a valid reason?) I will always try and convince them to get a trip sorted! This is the same when I speak to someone who has travelled but they have only travelled to one or two places over and over again. Why have they not spent that money visiting a new place? Before my husband met me he had been to about 5 countries. 4 of these were on a rugby tour and the other was because his parents live overseas. When I came into the picture I vowed to change that. Whenever we looked to book a weekend away, or a week away, I tried to find somewhere a bit unusual. He isn’t the best at geography so any country which he hadn’t heard of was a good place to start! Since we’ve been together the countries we’ve been to have probably tripled his original number – and I hope to keep increasing this. It did take me a while to convince him to try new places but now he is thankful that I’ve opened his eyes to new places, he’ll now rave on about all the adventures we’ve had and the amazing food and culture we’ve discovered. He’s the one suggesting random countries now! 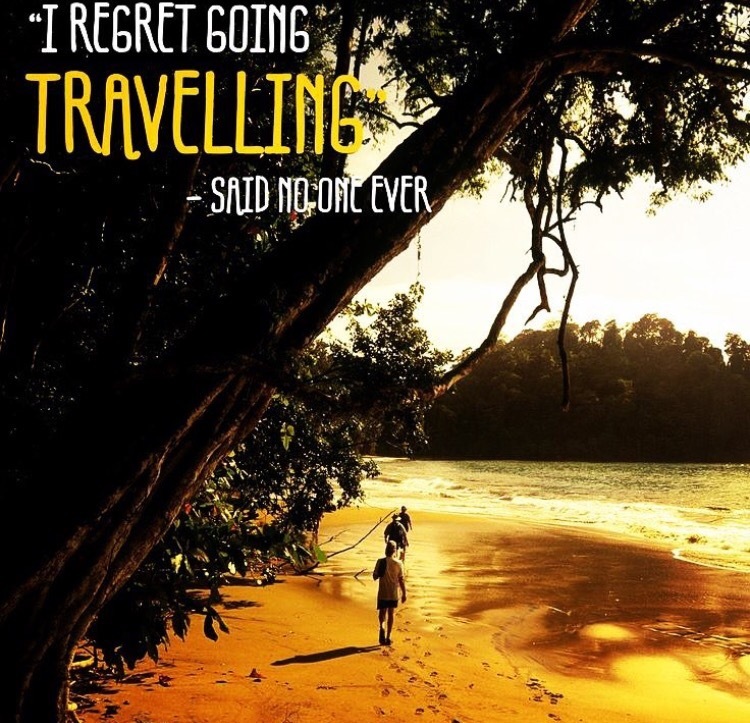 As the quote above says, no one regrets travelling. Even if you go somewhere that isn’t quite to your taste, you get overly delayed on a flight, you lose your bags, or anything else happens that makes it a not so perfect holiday, you never regret going, and hopefully in time you will laugh about it (or at least not feel so bitter!). So pick your next holiday, book those flights and explore somewhere new!